Gun ownership is a right and also a privilege. Guaranteed by the second amendment of the United States constitution, the ability for United States citizens to legally own a gun is significant in that it allows us to properly protect ourselves. However, gun ownership is also a massive responsibility which should never, ever be taken lightly. When exercising your second amendment right, it’s imperative that you practice responsible gun ownership. Not only does this help preserve your safety, but also the safety of the people around you. Improper or irresponsible gun ownership leads to a negative stigma surrounding guns and gun owners, which is part of the perception we are trying to change as the premier indoor shooting range in Frederick. Here at the Machine Gun Nest, we firmly believe in the second amendment. But we also firmly believe in proper firearms training and responsible gun ownership. That’s why we’ve compiled this blog filled with important tips for responsible firearms training and gun ownership. Keep reading to learn more and visit our indoor shooting range to improve your skills and safety in a fun, safe environment. The Machine Gun Nest even offers special firearms training for beginners or those looking to hone their skills. The first and most important rule about owning a gun is to practice safety at all times. When bringing your gun to the shooting range, you should be equipped with the proper gear, from ear plugs/mugs, safety glasses, proper clothing (closed-toe shoes with grip, long sleeves, gloves), and a clear mind. At no point should you ever operate a firearm while under the influence of drugs or alcohol, and you must always be mindful of your surroundings. Your gun has a safety lock for a reason, and it should always, always be on when you aren’t firing your weapon. As a gun owner, you should treat your weapon like the heavy duty, dangerous piece of machinery it is. That extends to its maintenance, from handling it with care and precision to cleaning it properly at the allotted intervals to avoid malfunction or misfire. Make sure your gun is cleaned according to your manufacturer’s instructions, on a regular basis, and be sure to fire it regularly to ensure that the ammo doesn’t go bad or get damaged. There’s no point in owning a gun if you don’t know how to use it. The best way to be a responsible gun owner is to know the ins and outs of your weapon and how to properly handle it. You should practice shooting as often as you can at a firing range, whether it be outdoors or at our indoor shooting range right here in Frederick. The more you practice, the more responsible and proficient you will learn to be. Another part of being a responsible gun owner is having your weapons stored in a safe, secure location. It would probably be a wise investment to purchase some type of gun safe to keep them out of harm’s way, and out of the reach of children or untrained adults. Having your guns stored in a safe can make sure they are only brought out when it’s time to practice, hunt, or use them responsibly. While practicing on your own may seem like enough, there still might be a few steps that you could be taking to become a smarter, safer, and more responsible gun owner. If you think that may be the case, then it may be wise to take a few different training courses to help better yourself as a gun owner. Whether it be a hunter’s safety class, a concealed carry class, or one of the Machine Gun Nest firearms training courses we offer, the more you know and the more you train, the better off you will be. Our certified instructors always have safety at the forefront of our minds. We can teach you how to properly handle your home defense weapon, help you learn and practice proper maintenance, teach you how to sharpen your target shooting, and more. 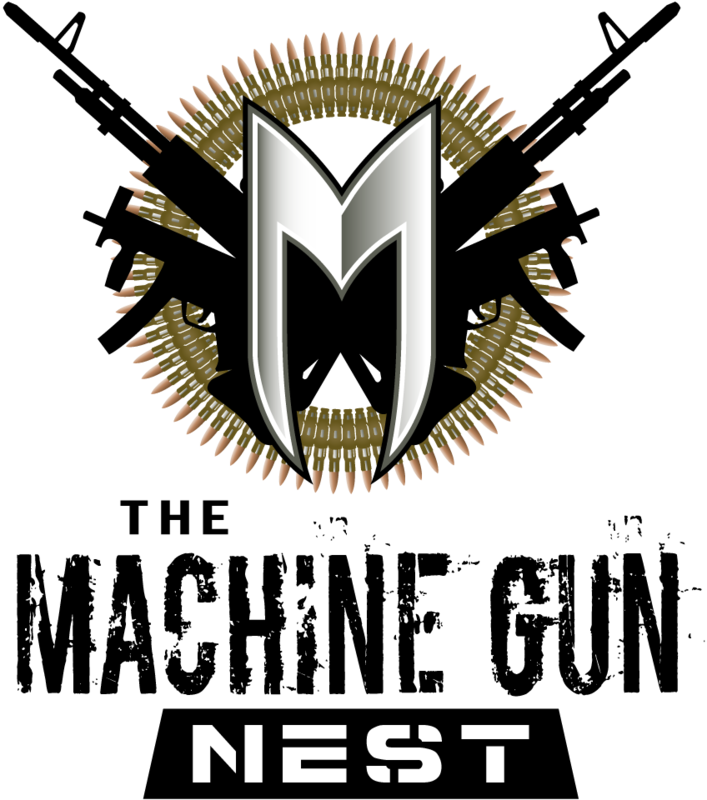 If you’re interested in firearms training, contact the Machine Gun Nest to learn more.